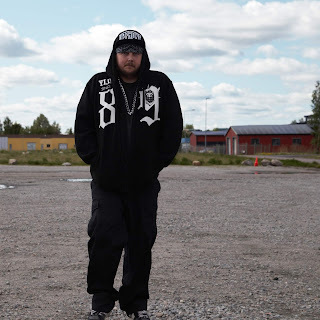 Hi my name is Mikael Wennerstrand, as Producer goes under MWM and my artist name is SUOREME M, a friend of mine started me up around 2010 and started to produce a little music again. I have a big music family there my mothers grandfather goted a medallion for composing music in Sweden from the Swedish king, King GUSTAF XI ADOLF and he also founded the county music school that now is a school for musiciansin almost every town in SWEDEN and have a stipendium in his name that is given to talented musicians every year. The John Norman Stipendium. He also took the flute in to the Swedish schools and gave every one the chance to learn music. He also made song lessons to the big Swedish Opera singer Folke Andersson and more that toured around the World. Sonora’s recording leader Helge Round Quist and engineering Artur Rydin left in 1947 the record company Sonora and together with , inter alia, Old Sonora artists Yngve Stoor , Willard Ringstrand , and Thore Ehrling started he was also in the record company Cupol . In Cupol was during its heyday, artists Gösta “Snoddas” Nordgren , Ulla Sallert , Lisbeth Bodin , and others. According to an advertisement in OJ 6/1947 began Cupols slices to be sold in June 1947 but thats not sure. The record company went in 1970 together with the American CBS and in 1973 CBS took over the ownership completely beacause he went to sick . The last recording was made 1975, he died 1978. A statue of his chest stands outside the music school in Stockholm. I also have some relatives that played dance band, dance band is almost the same as the country in the states, that is my father’s brother that competed in the Swedish championship and came on 5 the place..